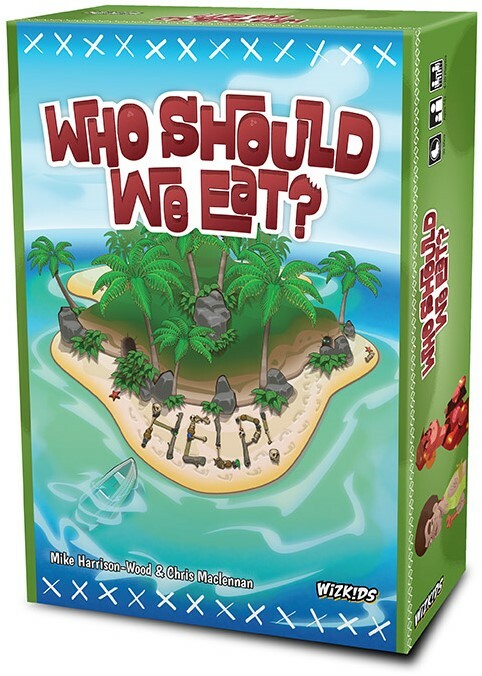 Who Should We Eat? is a semi-cooperative game of desert island survival and resorting to cannibalism way too quickly. You know that not all of you will make it off the island, which means that only the strong will survive, but deep down you also feel something supernatural about this place — that the veil between the spirit world and this mortal existence is pa­per thin. If you succumb to the hunger and are forced to eat another survivor, you will be driven deeper into madness and awake to find a new, vengeful, ghostly presence intent on ensuring that you never, ever leave the island.